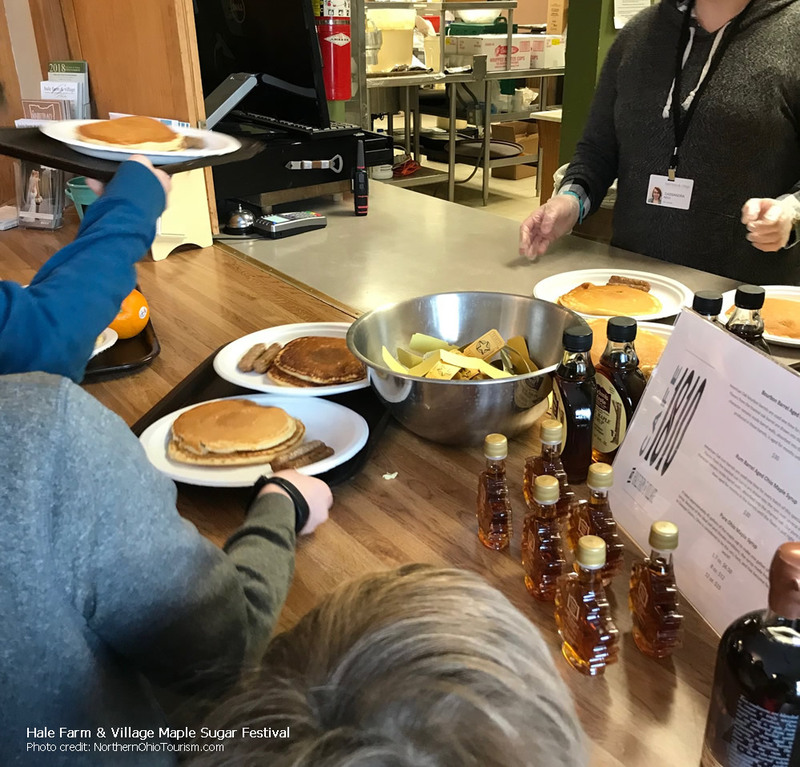 For Immediate Release, Bath, Ohio — Enjoy a pancake breakfast and experience the process of maple sugaring past and present at Hale Farm & Village on March 9, 10, 16 and 17, 2019. After a hearty pancake breakfast (including pancakes, sausage, fruit, coffee, juice and milk) provided by Acme Fresh Markets, the maple sugar experience begins. 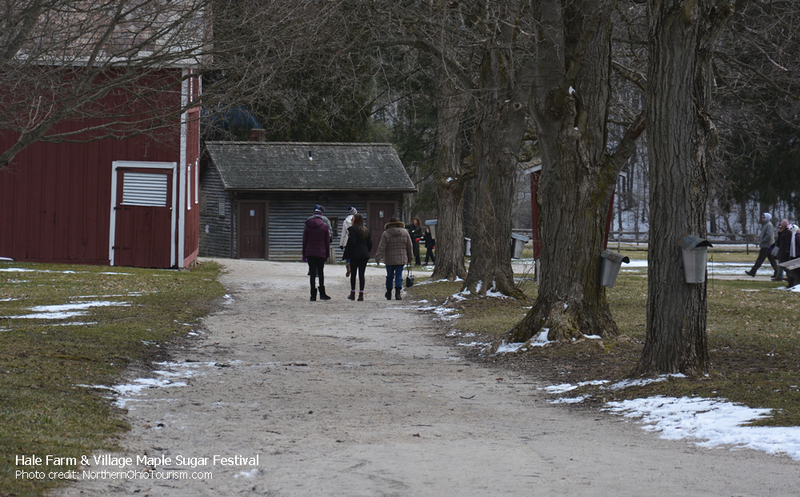 The 19th century village is open to experience tree tapping, oxen demonstrations, a sugaring camp, maple treats and the process of boiling sap into syrup. Historic crafts and trades including glassblowing, blacksmithing, spinning and weaving are also demonstrated throughout the day. C. O. Hale, the grandson of Western Reserve pioneer Jonathan Hale had a keen interest in all aspects of farming, including tapping the Sugar Maple trees on this farm. 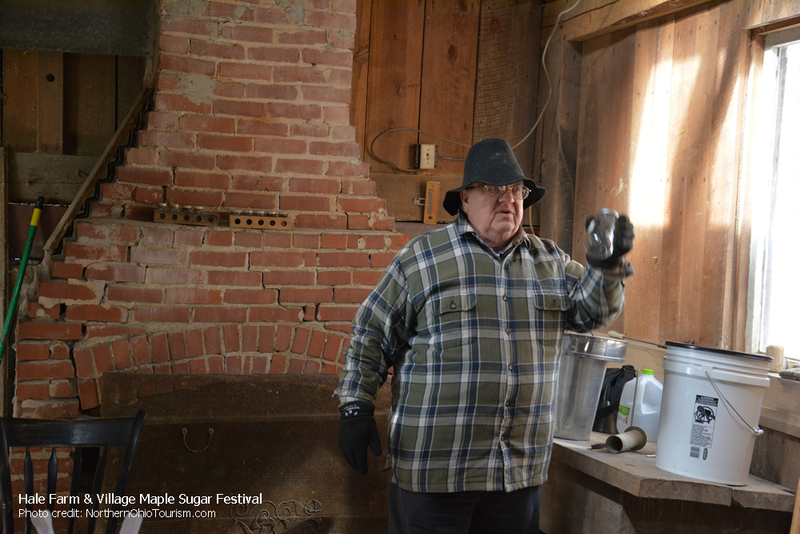 He supervised maple syrup production from his sugaring chair, on display in our Gatehouse Visitor’s Center. 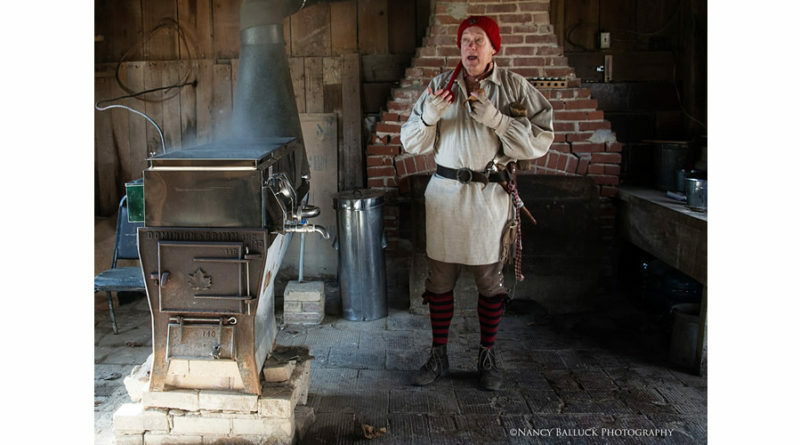 Custom-built to his specifications, the tall chair allowed C. O. to view the boiling of sap from the perfect vantage point, high above the steaming evaporation pan. 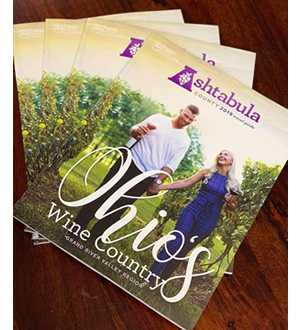 The Marketplace at Hale Farm & Village will be open for shopping during the festival, featuring Ohio made maple products including syrup, candy, sauces and snacks. 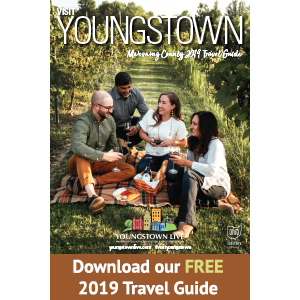 Handcrafted at Hale hand-blown glass, pottery, iron work and wool items will also be available along with many other Ohio made and maple sugar season souvenirs. The museum is open from 10am to 4pm, admission for breakfast and all activities is $15 for adults (13 years and older), $10 for children (3 – 12 years of age), $5 for members and $5 for the pancake. 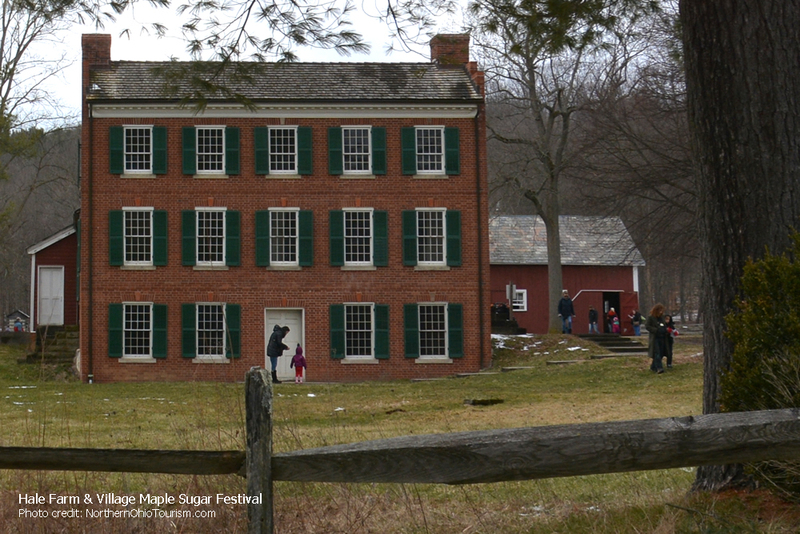 Last year we visited Hale Farm & Village during the Maple Festival. 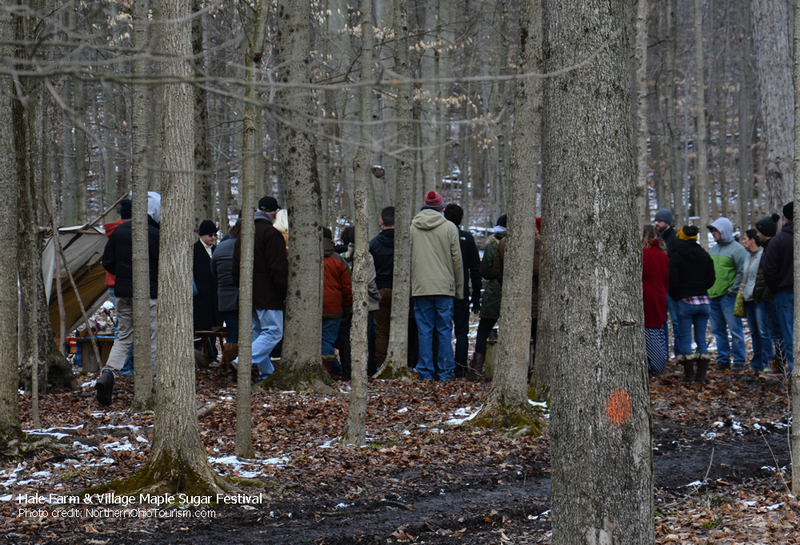 Besides enjoying a delicious plate of pancakes and sausage, we spent the day learning how trees are first tapped, then how they boil the sap to make syrup. We also stepped back in time to see how crafts and trades were done during the 19th century. Dress for the weather. After a delightful pancake breakfast, you are going to want to venture out and visit the various demonstrations. Make sure you visit the The Marketplace gift shop before you leave. 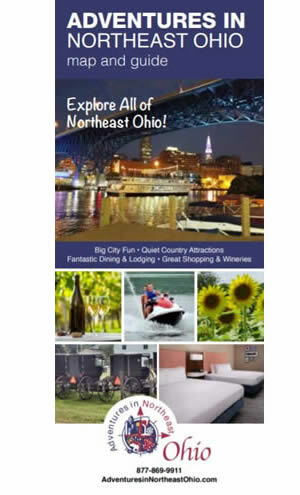 You will find Ohio Maple products, as well as handcrafted pottery, hand-blown glass items, wool items, and more. Just down the road in the Cuyahoga Valley National Park is the Everett Road Covered Bridge. Depending on the weather, the bridge makes for great photos. 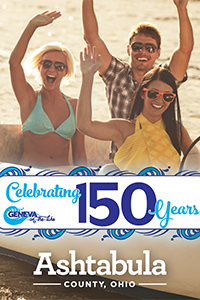 Want to make it a day of fun? 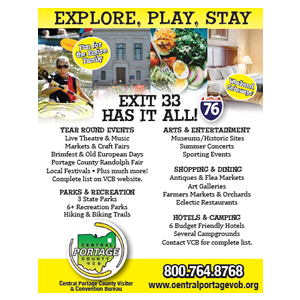 The Cuyahoga Valley Scenic Railroad offers special rides to Hale Farm for the Maple Sugar Festival & Pancake Breakfast. Tickets are required. Advance purchase is suggested. After purchasing your tickets, head to the pancake window and pick up your plate of delicious pancakes. Coffee, tea, and orange juice are also available. 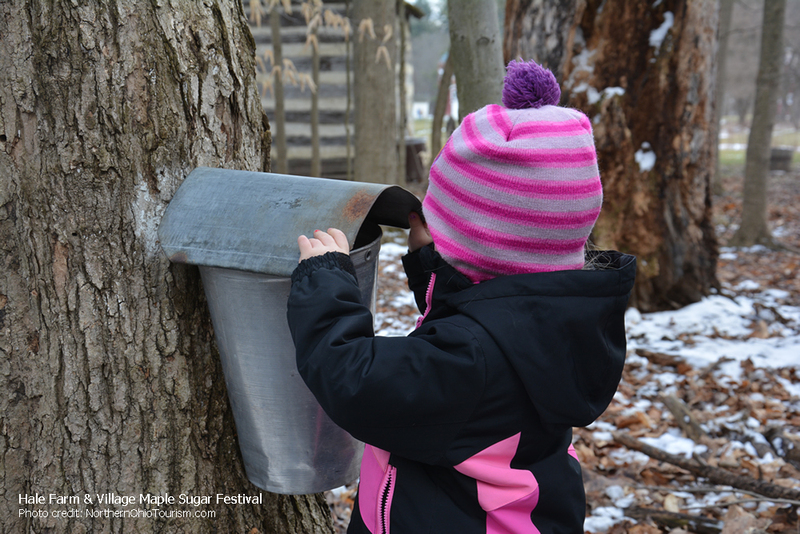 When we were there, this little girl was peeking inside the collection container to see if she could see the sap coming out of the tree. As you walk around the farm you will find many of the trees have collection buckets. 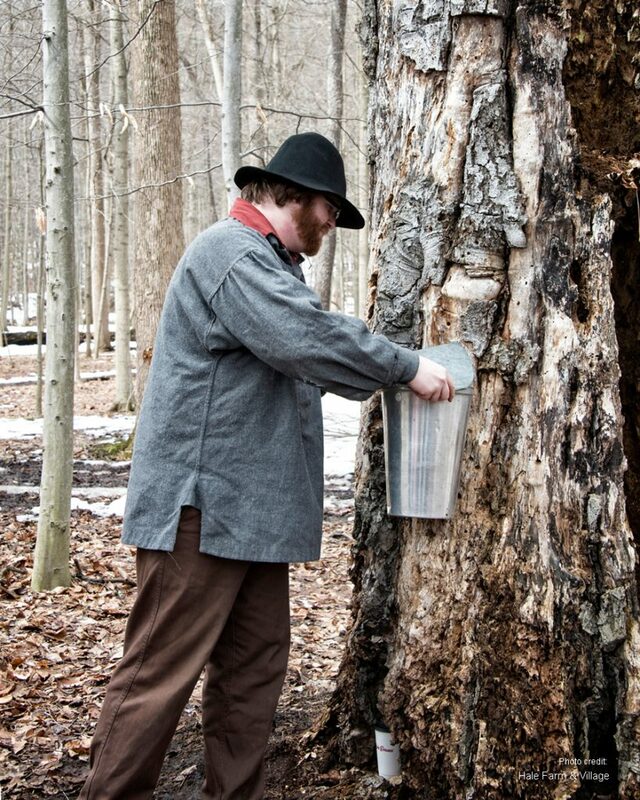 There is a whole process to tapping a tree. 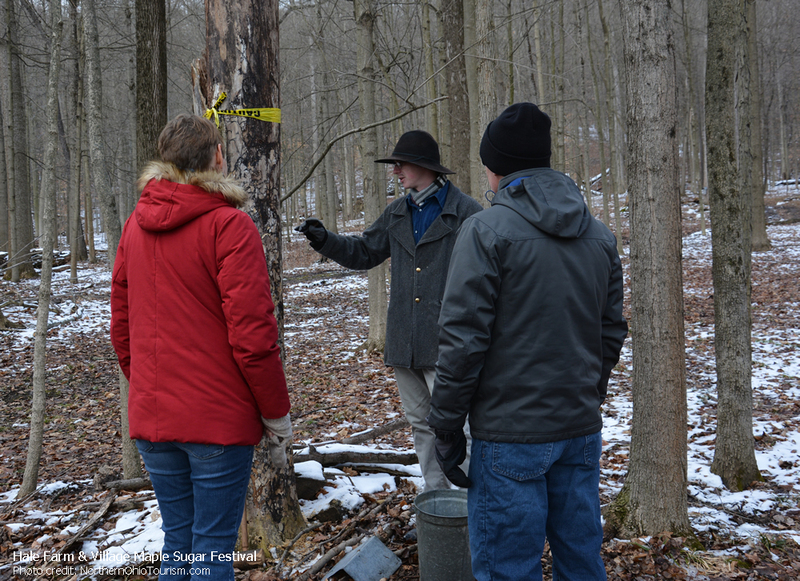 It’s amazing to learn how much sap is required to make one jar of syrup. Through out the Village additional craftsman are sharing their crafts, and how things were made on the Farm in the 19th century.